Home All How To's General Guide How to Easily Defog Files Encrypted by CloudFogger? How to Easily Defog Files Encrypted by CloudFogger? Cloudfogger is one of the best free tool today to encrypts your data on the local device before it gets uploaded to the cloud.Using the 256bit AES (Advanced Encryption Standard) encryption system it can guarantees that Dropbox, Google Drive, SkyDrive and others never get access to the content of your files. But one of the problems you will encounter in using Cloudfogger is how to remove the encryption(defog) when your not using the tool anymore or else your files will become useless forever.Because when you uninstall the Cloudfogger in your system it will not revert the file into the default format automatically, you,ll need to manually defog them. How to Defog Files Encrypted by Cloudfogger? 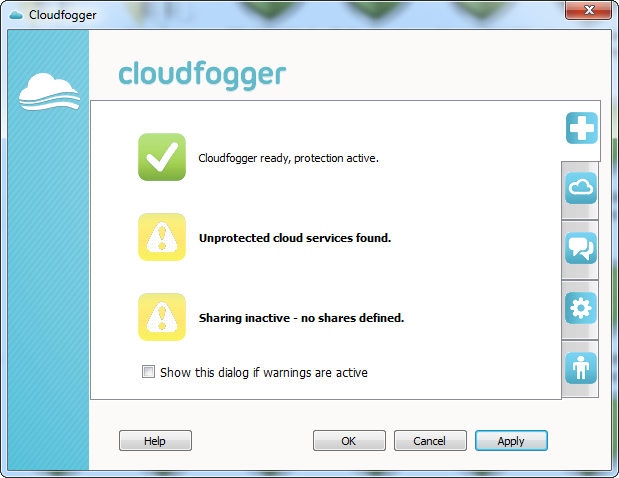 1.First, do not uninstall the Cloudfogger if you encounter some errors just reinstall it and proceed to step 2. 6.Remove the Cloudfogger and enjoy. So far there's no option yet in the Cloudfogger panel to defog all your files in one time.